Inverness Caledonian Thistle FC Half Season ticket packages are now on sale; with supporters able to take advantage of tickets from as little as £49.50 to watch Robbo’s lads for the second half of the 2017-18 campaign. Caley Jags fans of all ages can benefit from some of the best deals around with the cheapest ticket for an adult from £148.50, £99 for senior citizens and £90 for young adults aged between 16 and 25. The club remain commitment to ensuring all youngsters in the Highlands get the opportunity to see their team with Under 16’s from £49.50 and Under 12’s will continue to go FREE in the North Stand. 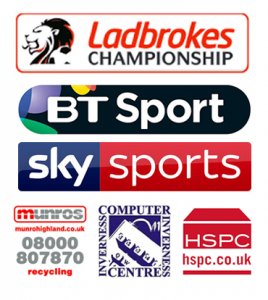 The half season ticket will be valid from the Ladbrokes Championship clash with Livingston on 2nd January 2018. The team are unbeaten in their last 5 matches, having conceded zero goals in that time. They have also secured 8 out of 12 points in the league as they continue to climb the table and reward fans for their patience and backing. Half Season tickets are can be bought online by clicking here, over the telephone on 01463 227451 or in person at the club’s ticket office.